Summary of chord lookup methods. Chord House Advanced Pass Pass Free Shows all scale note positions on neck. Good reference but you have to figure out diagrams. Gootar Pass Fail Free Takes too much work to find variations of chord. iChord Pass Fail Free It runs in your browser and requires the internet. TuxGuitar Fail Pass Free It’s chord tool is OK for most users. GuitarPro Fail Pass $59.95 GP5 chord tool about the same as TuxGuitar only GuitarPro isn’t free. TablEdit NA NA $59.97 Not recommend for chord lookup. PowerTab Pass Pass Free It’s good. It’s free. Recommend. Guitar Chord Dictionary 3.0 NA NA $29.99 The iChord browser tool from the same company is free. I haven’t tried this tool but I can’t see paying for it when there’s so many good free tools. by Warren Nunes © 1999 Warner Brothers Publications. Pass Pass $15.56 Good jazz chord reference. The progressions are a nice addition but get in the way when looking up chords. by Steve Hall. © 1993 Alfred Publishing Co., Inc Pass Fail $13.57 Another Good reference. Recommended. by William Bay. © 1992 Mel Bay Publications. Pass Fail $16.49 Very good reference. Recommended. Essential Guitar Chords by Robert Hartz. © 1993 Mt. Holly Press. (Only available from used booksellers). Fail Pass NA It seems to be out of print. Considering the good references in print – and other sources, not a great loss. I can’t make up my mind about the order of some of these. Although the technology curve is moving to smart phone apps, I still like books. That doesn’t mean that I won’t go to desktop, online or phone app tool before I go to a book. From oldest to newest tech. Maj7 test is the inclusion of Freddie Green chords such as 3x443x for Gmaj7. 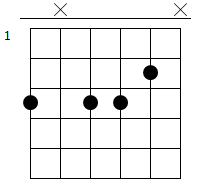 Bonus points if have 7b5b9 chord. Previous Post:How to Travel with a Guitar.